Customize your donation with the button to the right or choose a specific Tribute or Sponsorship below. $10 Tribute Card - Tribute cards are a great way to celebrate a birthday or special occasion and a thoughtful way to remember a loved one. An individualized beautifully handwritten tribute card 'in honor of' or 'in memory of' can be sent on a Terri's Rose Card. $10 Tribute Card - Tribute cards are a great way to celebrate a birthday or special occasion and a thoughtful way to remember a loved one. An individualized beautifully handwritten tribute card 'in honor of' or 'in memory of' can be sent on a 25th Commemorative Rose Card. $22 Note Card set - Terri's Rose was created by the late Sam Maitin especially for the TLLCCF in the spring of 1988. The original is a collage made of water-colored papers composed on rag board background. Note card sets of 5 per pack with envelopes. $22 Note Card set - The 25th Commemorative Rose was created especially for the TLLCCF in 2012 by Juliana Mae Lane, age 5, of the Goddard School in Exton, PA. The original is markers on construction paper. Note card sets of 5 per pack with envelopes. 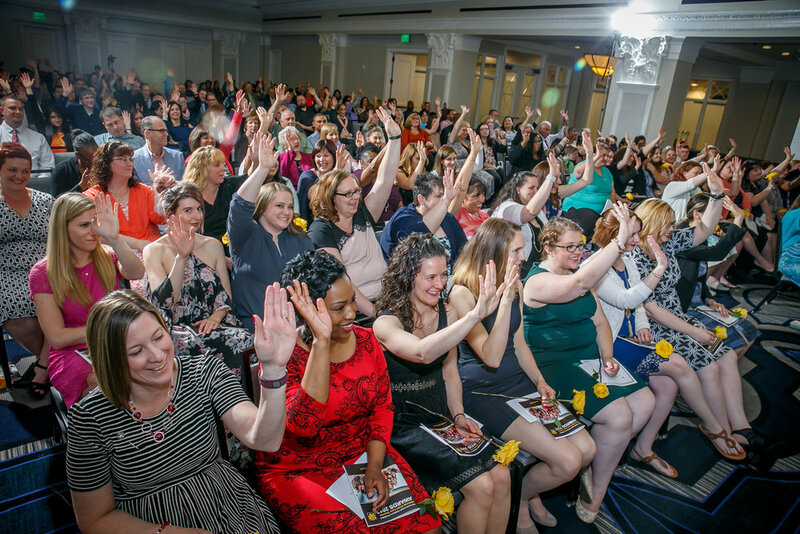 $75 Teacher Award Sponsor - One (1) Ticket to the National Child Care Teachers Awards Ceremony, your sponsorship will also go to support a recipients guest to attend. $250 Teacher Sponsor - Two (2) Tickets to the National Child Care Teachers Awards Ceremony, your sponsorship will also go to support a recipients guest to attend. Sponsor Recognition in Awards Ceremony Program Book. 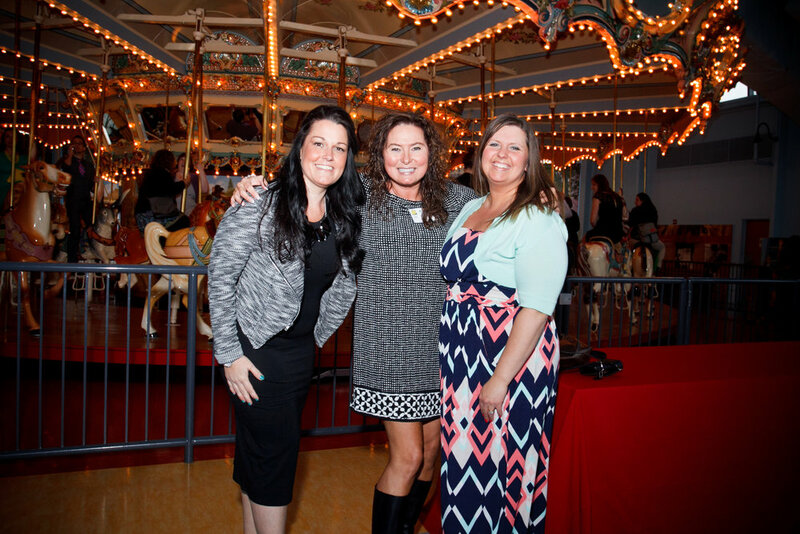 $500 Friend Sponsor - Three (3) Tickets to the National Child Care Teachers Awards Ceremony, your sponsorship will also go to support a recipients guest to attend. Signage at the Event. Sponsor Recognition in Awards Ceremony Program Book. $1,000.00 Teacher Award Ceremony Sponsor - Four (4) Tickets to the National Child Care Teachers Awards Ceremony, your sponsorship will also go to support a recipients guest to attend. Sponsor Recognition and Logo on Breakfast and Awards Ceremony Program Books. Company Banner at Welcome Reception Event. Quarter Page Color Advertisement in Awards Ceremony Program. Sponsor Recognition in Press Releases to Local and National Media. $1,500.00 Teacher Welcome Reception Sponsor - Company Logo on Live Stream Feed of Ceremony. Four (4) Tickets to the National Child Care Teachers Awards Ceremony, your sponsorship will also go to support a recipients guest to attend. Sponsor Recognition and Logo on Breakfast and Awards Ceremony Program Books. Company Banner at Welcome Reception Event. Quarter Page Color Advertisement in Awards Ceremony Program. Sponsor Recognition in Press Releases to Local and National Media. $3,000.00 Teacher Appreciation Breakfast Sponsor - Six (6) Tickets to the National Child Care Teachers Awards Ceremony, your sponsorship will also go to support a recipients guest to attend. Speaking Opportunity. Company Banner at Breakfast Event. Half Page Color Advertisement in Breakfast Program Book. Sponsor Recognition in Awards Ceremony Program Book. Sponsor Recognition in Press Releases to Local and National Media. $5,000.00 Teacher Award Ceremony Live Streaming Sponsor - Company Logo on Live Stream Feed of Ceremony. Eight (8) Tickets to the National Child Care Teachers Awards Ceremony, your sponsorship will also go to support a recipients guest to attend. Sponsor Recognition on Advertisements, invitations and communications. Company Banner at Event. Half Page Color Advertisement in Awards Ceremony Program. Sponsor Recognition in Press Releases to Local and National Media. Company Banner at Breakfast Program. Sponsor Recognition and Logo in Breakfast Program Book. $10,000.00 Premiere Sponsor - Ten (10) Tickets to the National Child Care Teachers Awards Ceremony, your sponsorship will also go to support a recipients guest to attend. Sponsor Recognition on Advertisements, invitations and communications. Company Banner at Event. Full Page Color Advertisement in Awards Ceremony Program. Sponsor Recognition in Press Releases to Local and National Media. Company Banner at Breakfast Program. Sponsor Recognition and Logo in Breakfast Program Book.